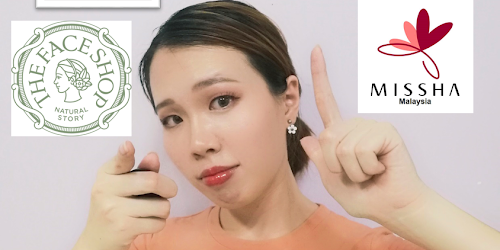 "Monthly Project" is a new segment whereby I will be sharing about different topics related to skincare and/or makeup end of each month - to bring more content in a dynamic way, in which hopefully could be more applicable and relate-able to you. Coming to 4th volume. Let's get serious about sunblock (or, sunscreen). After all, it is the golden rule for skincare to apply your sunscreen. Hopefully this monthly project is able to give you a more in-depth understanding of the sunscreen you are applying daily. 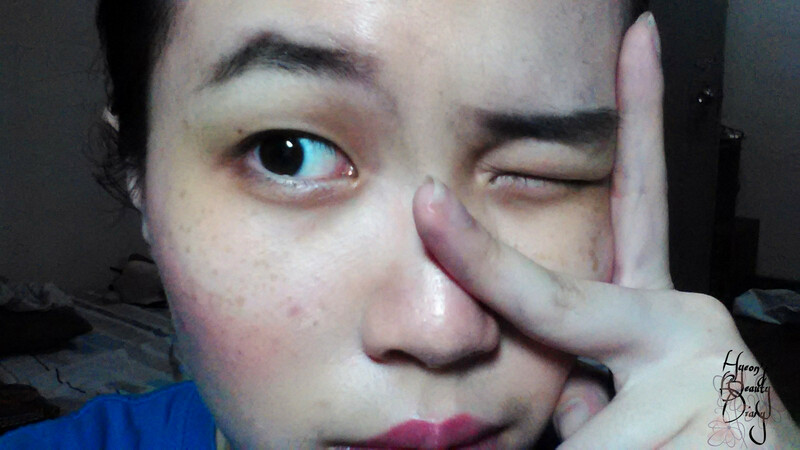 Mum told me to apply sunblock as she started to spot freckles growing on my face. That was when I am still studying in primary school. I remember I didn't like putting on sunblock because they are usually oily on the skin. 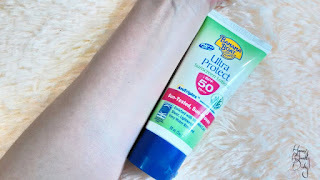 Little did we (mum and I) know, actually there is a difference between sunblock and sunscreen, and there are many more brands/products out there in the market which eventually I will find one that suits my skin. Q : What is sunscreen? How does it work? 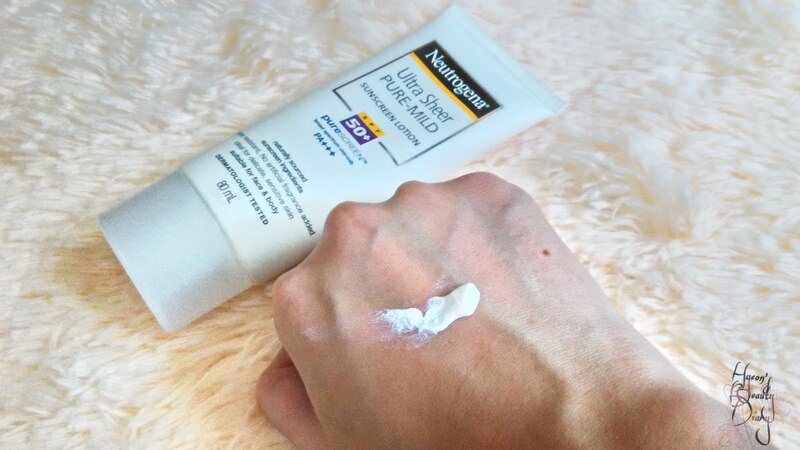 Q : What does SPF stand for? What does it measure? Q : What are the effects if exposed to sunlight without SPF? A : You may suffer from hyper-pigmentation, blemishes, difficulty in removing acne scars, premature aging (e.g. wrinkle and fine lines) and skin cancer. Q : How do you measure SPF? A : There is no fix measurement when it comes to SPF. 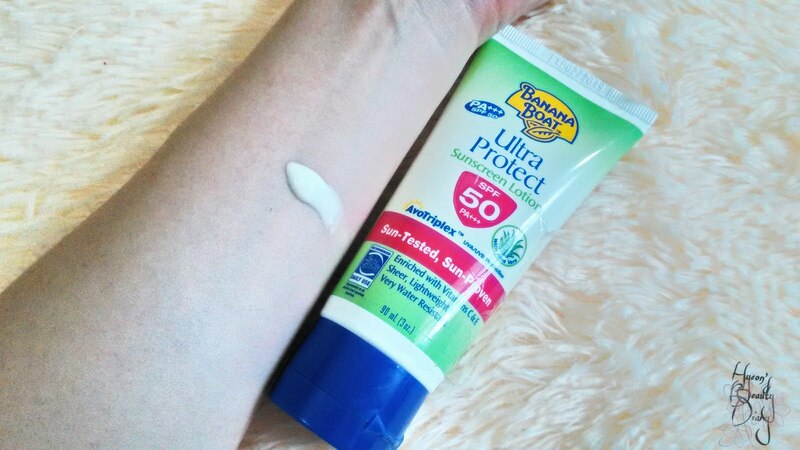 Generally, 1 SPF = 10 minutes of sun protection. For instance, a product with SPF15 would give you 2hr 30mins of sun protection, and you are recommended to reapply your sunscreen every 2hr 30mins. For those whose skin are more sensitive to sun-rays, the measurement might have to be adjusted to 1 SPF = 5 minutes of sun protection, and they are highly recommended to reapply sunscreen as often as they could to stay sun-protected. 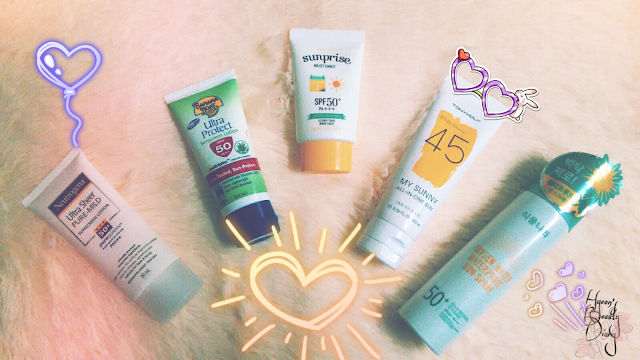 Q : How many types of sun protective lotions out there? How to differentiate? A : There are two types – physical and chemical. (1) Sunblock, the physical type, sits on top of the skin acting as a shield/barrier between your skin and damaging UV rays by reflecting/scattering UVB light. It is measured by "SPF". The higher the SPF value, the longer sun protection you will get. Look for products with titanium dioxide and zinc oxide. Usually these ingredients will leave a white cast on top of your skin. (2) Sunscreen, the chemical type, penetrates the skin and absorbs the UVA rays before they are able to reach and damage your dermal layer. It is measured by "PA (Protection Grade of UVA)" followed by "+" sign. The more "+" behind, the stronger UVA protection you will get. PA+++ is the maximum which shows very good protective abilities against UVA rays. Look for products with octocrylene, avobenzone, octinoxate, ecamsule and etc. 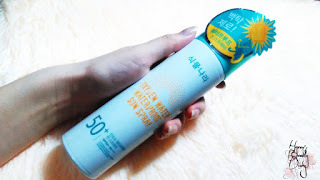 Etude House's Sunprise Must Daily SPF50+ PA+++ | 50g / 1.76 fl. oz. This sunscreen product from Etude House is light-weight lotion which makes it easier for the skin to absorb and non-sticky, at least that's the case for dry/combination skin. My dad and sister have oily skin, and they commented this product is a bit oily for them. One of the reasons why I enjoy this product is because it is rather affordable. From the ingredient list, both octinoxate and homosalate land 2nd and 3rd place respectively on the list, while titanium dioxide not being included in the top 10 ingredient, which explains why it looks natural after applying this product. Meanwhile, some people might experience tingling sensation as alcohol (besides, water) is used as a solvent here. I bought this product from Althea for RM25. 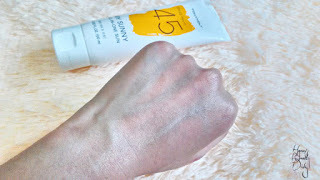 Tonymoly's My Sunny All-In-One Sun SPF45+ PA+++ | 100ml / 3.52 fl. oz. 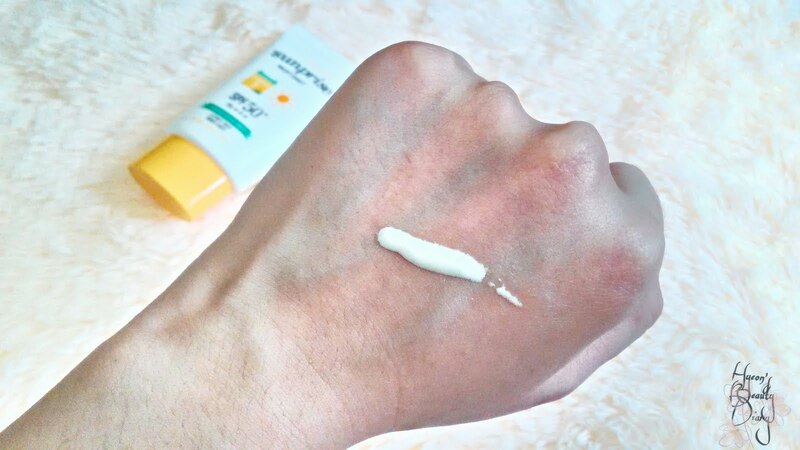 This is my second purchase of sunscreen product from Tonymoly, and I'm absolute in love with their sunscreen product line. It is a lotion-type sunscreen. 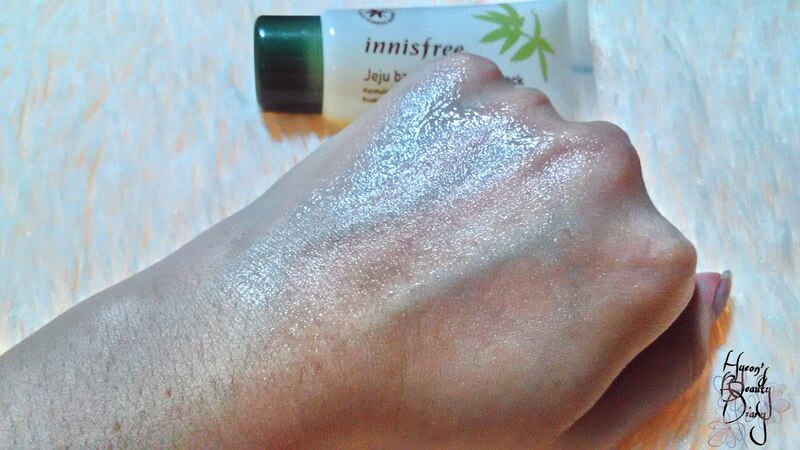 It might be a bit oily for oily skin type, but it is a perfect match for me. 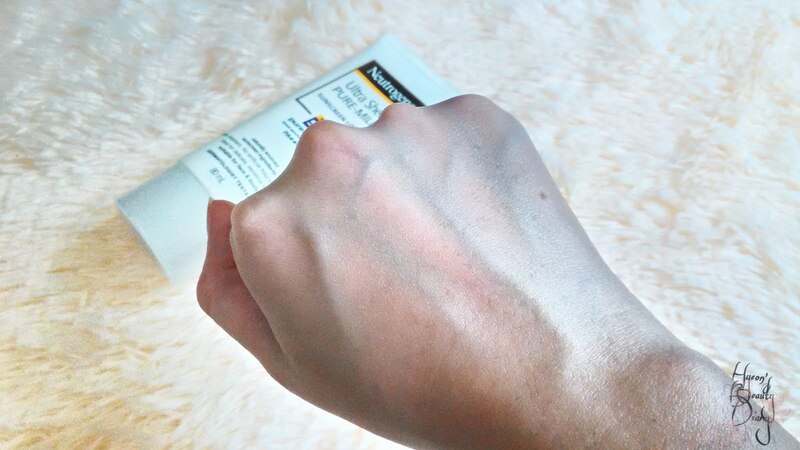 It has both chemical and physical sun protective ingredients on the top 5 in the list. The reason why they named it "All-In-One" is because it not only provides sun protection, but also whitening, moisturizing, nourishing and revising skin tone (5-in-1). On top of that, it contains 54% of moisture base which explains why it would be oily to certain people, but it wasn't an issue for me. 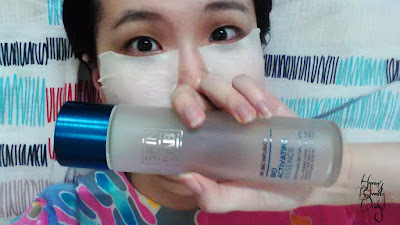 Instead, it makes a good base to maintain skin moisture level under my makeup for the whole day. 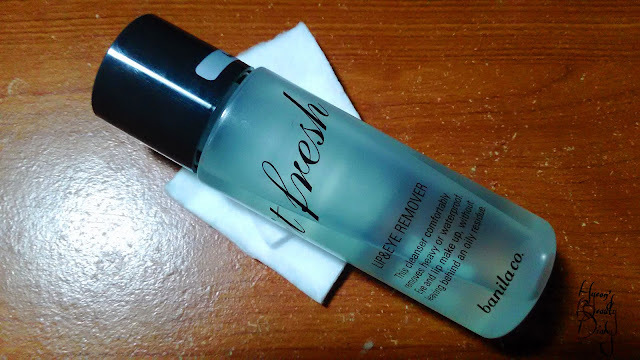 Just like I expected, I'm in love with this product instantly! 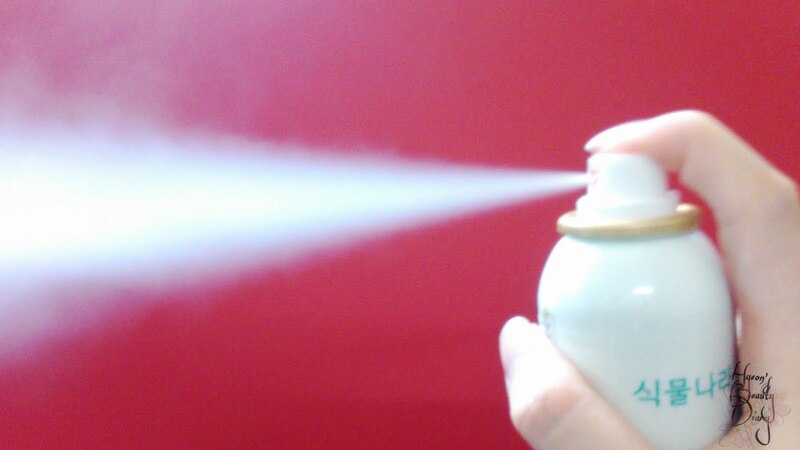 The spray is very light-weight and the particles are very fine. Not only it protects the skin from UV rays, but also it provides water-pumping complex ingredients, such as aloe vera, cactus and rose of jericho (a.k.a. resurrection plant), which also explains why it might feels a slightly sticky when the particles land on the skin, but the feeling soon fades off after the product being absorbed into the skin. Banana Boat's Ultra Protect Sunscreen Lotion SPF50 PA+++ with Aloe Vera | 90ml / 3 fl. oz. Banana Boat has gained quite a good name in producing high SPF products, at least I know people usually get them when they go for fishing. 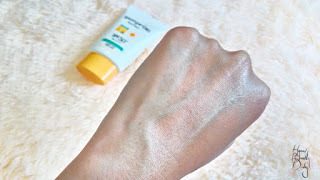 I think it is generally good when apply on body parts other than the face. Why? 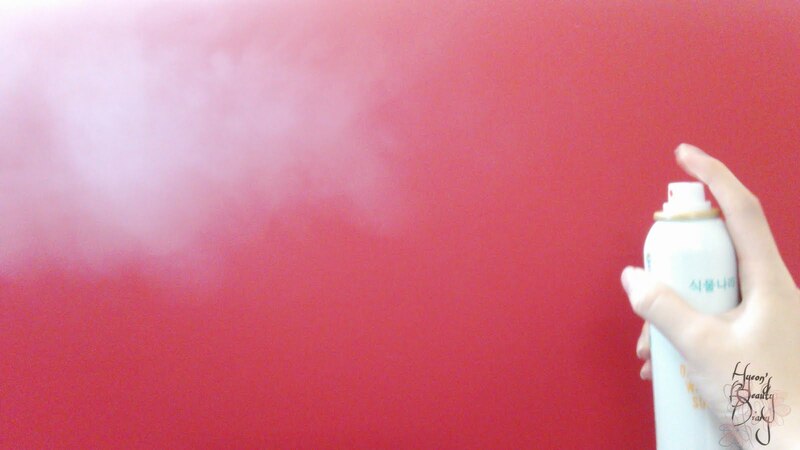 Cause it is a bit too oily for my case. Meanwhile, I did a brief research on its ingredient list. Later than I found out that there are at least 3 ingredients that are rated as hazardous: Benzophenone-3 (ranking no.3 on the full ingredient list), Retinyl Palmitate and Propylparaben. Due to the above stated reasons, I'm giving a low rating for this product and will not recommend it. Again, this product doesn't belong to me. It was a present for dad since we (mum and I) thought he needs sun protection as his first step of anti-aging. Not only it is heavy on the skin makes it harder to blend it into the skin, it also leaves noticeable layer of white cast ,which looks unnatural in overall. TBH it was kinda awkward to ask my dad to wear this sunblock cause he will look super fair and oily after application. I tried it myself as well. 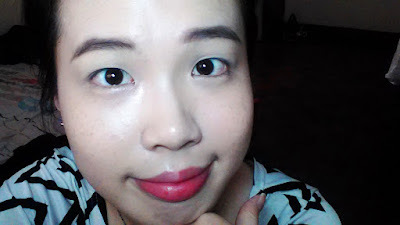 Knowing the above facts, I try to control the amount of product to apply on my face. In some senses, it worked. However, it feels a whole lot different when compared with other sunscreen products. Sun protection is the golden rule of anti-aging skincare routine. You might not see the result instantly, but guarantee you will in 20 years of time. 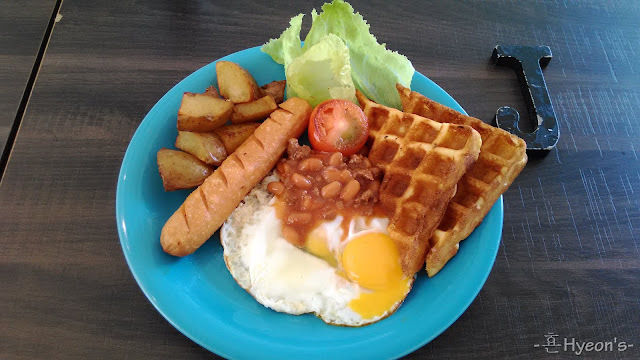 2017년3월18일 (토요일) Brunch @ Joe Sun - Food & Coffee Co. It's 10:30AM. I am meeting my high-school friend, Belinda, for brunch today. Initially, we planned to try out Nasi Kerabu (blue rice) at Uncle Garry which is near to my house. Yet they only open at 11AM. So here we are, ended up at Joe Sun, at Damai Plaza. This is my first time visiting this restaurant (although it is very near to my house). I thought their foods are quite pricy and not much people recommended this place. That's why. 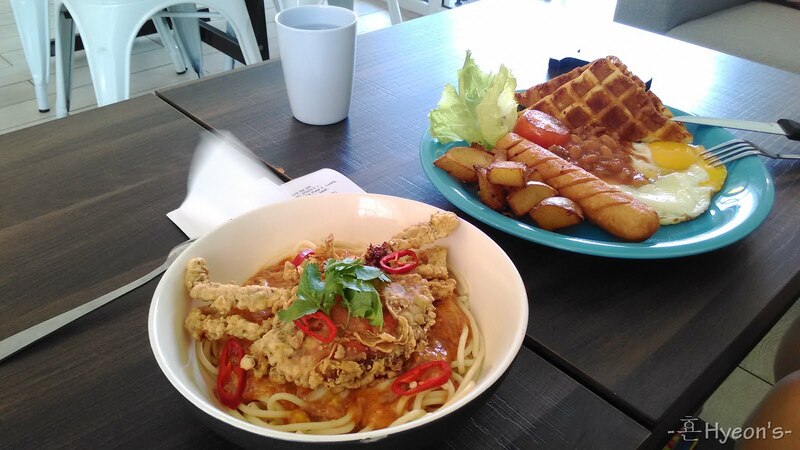 Brunch @ Joe Sun - Food & Coffee Co.
- Address : 48, 40, Lorong Pokok Kayu Manis 2, 88300 Kota Kinabalu, Sabah, Malaysia. 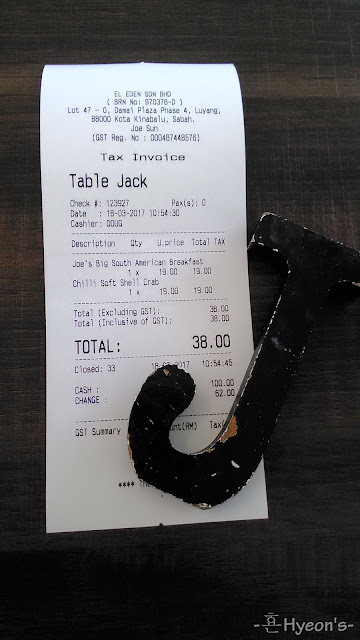 Will I revisit this restaurant in near future? 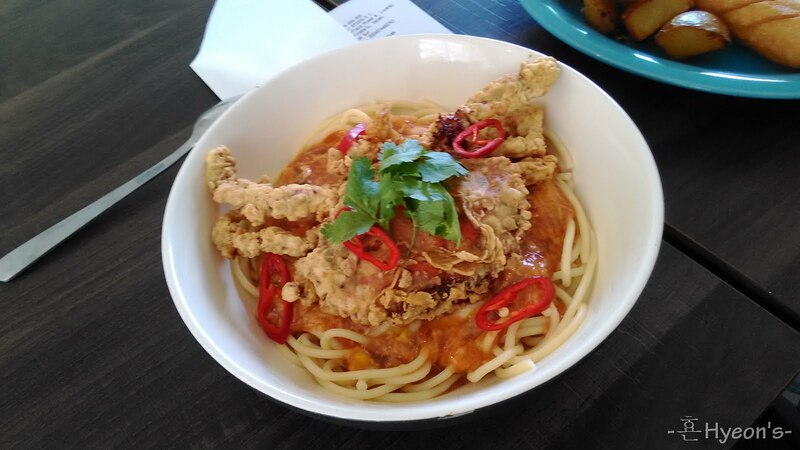 Food, probably nope. Drink, maybe yes. 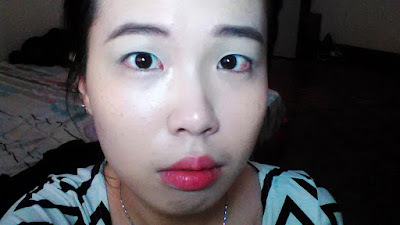 It has been 1 year 6 months since my first review on eye palette! Wow! 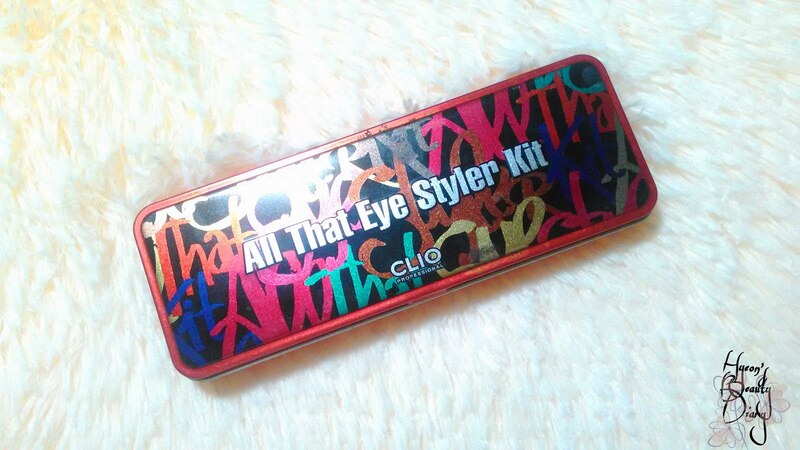 Today I'm gonna share with you my first CLIO product - All That Eye Styler Kit. 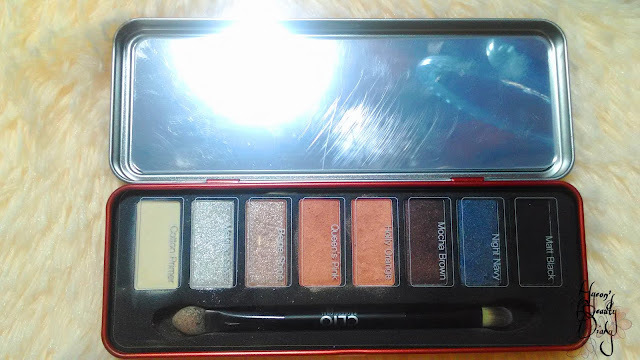 In fact, this is my second eye palette. 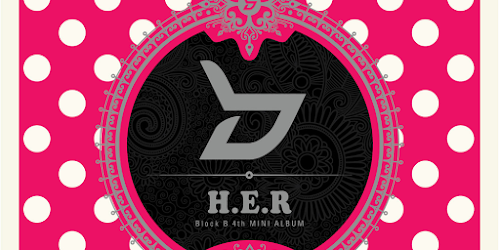 I bought it from Hermo for RM58.80 during clearance promotion. This product is not available on the website now, just to let you know. There are 8 eyeshadow colours, a 2-ended brush and a rectangular mirror attached in the palette. (Left to right) Cotton Primer, Metallic Silver, Beige Shine, Queen's Pink, Holly Orange, Mocha Brown, Night Navy, Matt Black. Photo below is the result of colour swatches. 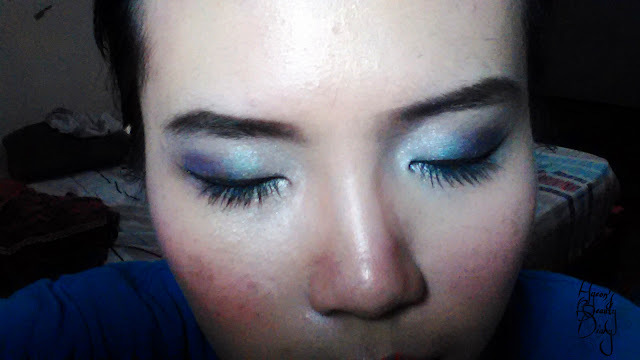 In addition, my favourite colours from this eye palette also include the Night Navy and both the glittery eyeshadows. These colours turned out vividly on the skin, just as the colour you see on the palette. (1) The Cotton Primer didn't help the eyeshadow colours to be more vivid on the eyes, nor more long lasting. Best I could think of is to mattify the eyelids (to cut off grease). 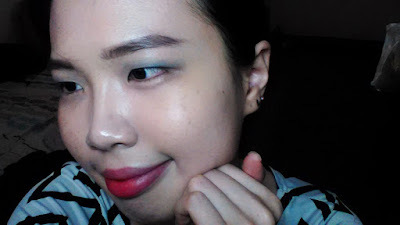 (2) For daily makeup look, I would prefer soft brown; and I think its Mocha Brown is a bit too strong for a casual look, so I barely touch it. (3) From the product's description, it recommends Matt Black as an eyeliner, but what I think it meant is to apply a layer over liquid/gel black eyeliner to avoid smudging. This way it can lasts longer as well. However, it doesn't appeal to me at all. Before I start with my eye makeup, I applied BB Cream, did my brows and lips. And this is how it looks (as below). Next, I try to locate where your eye socket is. Then I apply the Night Navy along the eye socket, from the outer corner of my eyes towards the middle, using my fourth finger, as well (because I'm lazyyy). 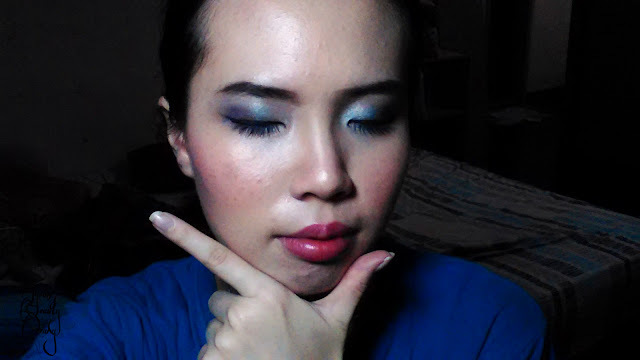 Applying the eyeshadow from outer corner to the middle, this way you can get a better gradient. Now, I rub off the residue colour on my finger, then I will apply the Metallic Silver from the inner corner of my eyes towards the middle, where both colours meet. Last but not least, use a blending brush (or, your finger, make sure it is clean) and blend out the edges softly. Considering most of the eyeshadow colours aren't suitable for daily makeup look, I am giving a lower rating for this eye palette. Besides that, the colours didn't last long, not for a whole day, which I'm also taking into consideration. 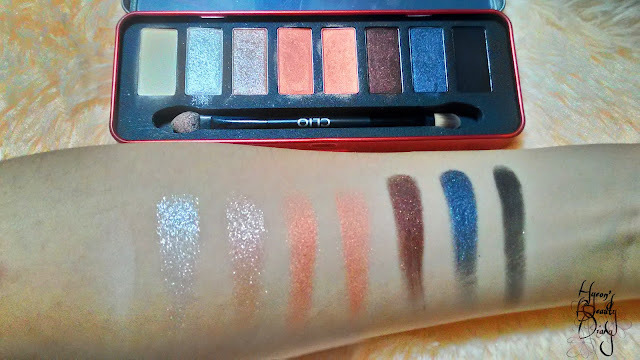 However, if you do favour vivid and glittery eyeshadow, probably you would like this eye palette tho. What do you think of my makeup today? Do share with me your thoughts after reading this product review in the comment box below. 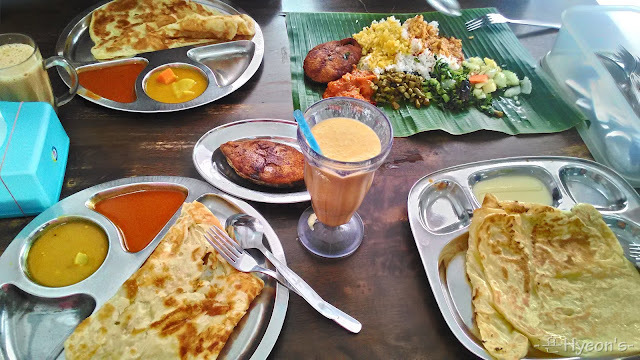 Craving for crispy roti canai and smooth mango lassi? You're at the right place! - Address : No. 28, Jalan Berjaya, Bandaran Berjaya, 88000 Kota Kinabalu, Sabah, Malaysia. This has been an Indian restaurant which my family and I always visit in town. Mostly on Sundays. It has just only expanded from 1 shoplot into 2 shoplots! Wow, see how the business grows. Sri Latha is very well known to tourists since it is highly recomended on Trip Advisor. The price is quite reasonable, as long as you don't order meat dish. For instance, fried fish is RM8 per piece! (very very pricy yet very very tasty). Besides, they also offer banana leaf rice for RM6 per serving. Of course, you can refill the side dishes as you want. The side dishes are mostly vegetable, just to let you know. If I must point out one drawback, it would be the limited parking spaces. You would understand if you have been here. The buildings here are quite old and they were built quite close, side to side. If you don't mind, you can park your car 1 or 2 blocks away and walk here. 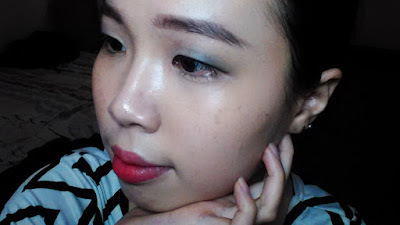 Today I gonna share with you an essence product which I have been using lately. As I am writing this post, I have just finished this bottle and it's about 3 months from purchasing now. And I really hope my sharing here could help you to understand a little bit more about this product. Initially, I was very obsessed in geting IOPE Bio Essence Intensive Conditioning since I heard of it, but that was way above my budget. Then I came across SKIN&LAB Dr. Bio Infusion: Bio Activating Essence, which I thought it could be a budget alternative for it. 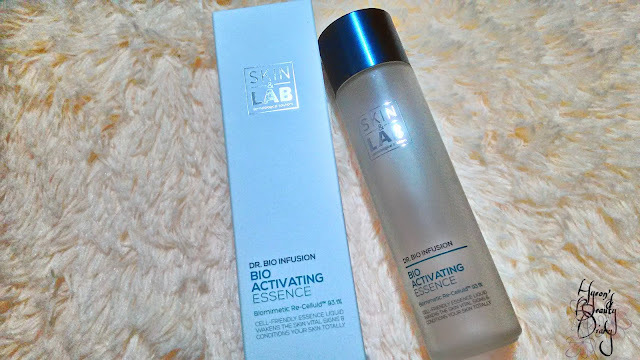 Fyi SKIN&LAB is a cosmeceutical brand made up by a team of skincare specialists who focus on hypoallergenic formulas which is said to stimulate and make use of our own skin's natural regenerative ability to the fullest. For instance, the selling point of this product, Bio Activating Essence, would be its 93.1% Biomimetic Re-Cellulid Fluid in which they designed to imitate the structure of human fluid a.k.a. biomimetic water with a patented technology. This fluid is said to have a much higher penetration rate into the skin than water along with skin-nourishing elements. Okay, so in summary, it is more skin-friendly and faster to absorb. 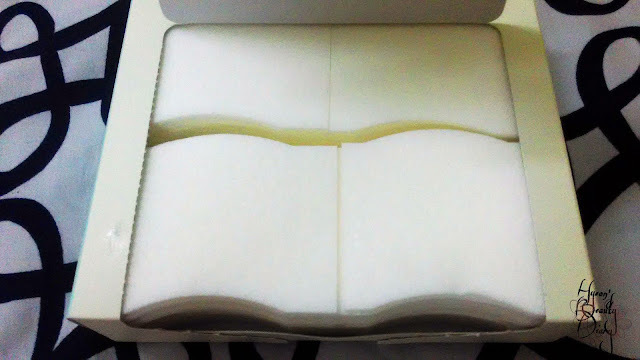 When I got this product, it was exactly what I expected. Cylinder glass opaque design. Sleek and class. 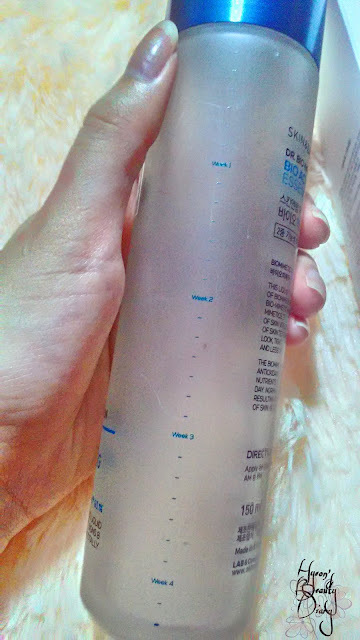 To my surprise, there is a marking on the bottle. Later then I learned that it was purposely designed to suggest the amount to apply per day. 1 marking = 1 day. It is a full-month course. Below are three ways of using this product. The first option is my personal favourite. Using normal-use cotton pads might be a waste if you wanna go for Option 1. 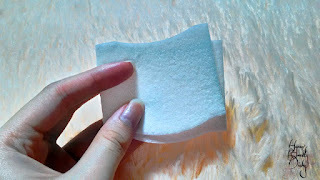 This is because normal-use cotton pads would dried up quickly before the skin gets to absorbed the essence. Bonus tips! Try 1/2 sponge pads instead. 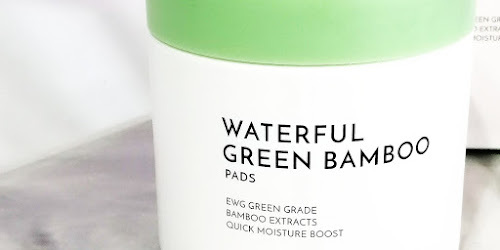 In this case, you might need to soak this 1/2 sponge pad with generous amount, yet definitely worth it as it can hold the liquid/fluid for more than 30 minutes, whereby your skin can soak under the 1/2 sponge pads and absorb the product's goodness to its fullest. 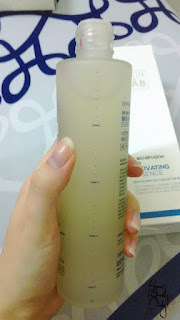 Certainly, this product can help you save a lot of your expensive liquid-type essence product. 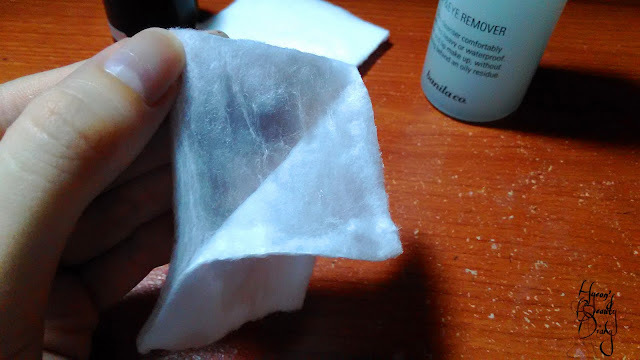 What I usually do is, dampen the 1/2 sponge pad entirely with the Bio Activating Essence (see above). Usually it will take about 1 marking (or less). Tear into half according to the dotted-line. Apply them on targeted areas. Mine would be under my eyes, on both cheeks (see below). 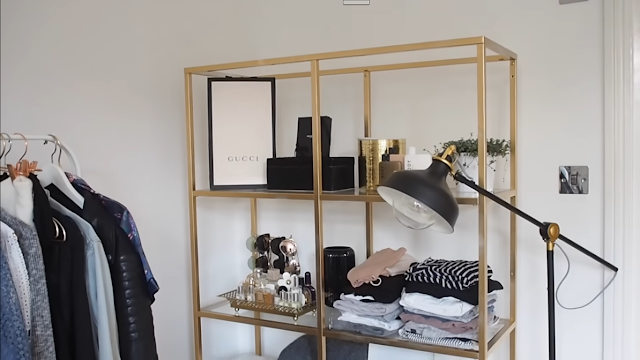 How do I find this product? Actually I quite enjoy using it as I can really feel it softens my skin. A mild and gentle product. Moreover, they have rather a good list of ingredients. Tips! Generally Korean companies arrange their product ingredient list from the highest component to the lowest. Both Glycerin and Niacinamide are known for moisturizing and anti-aging effect. 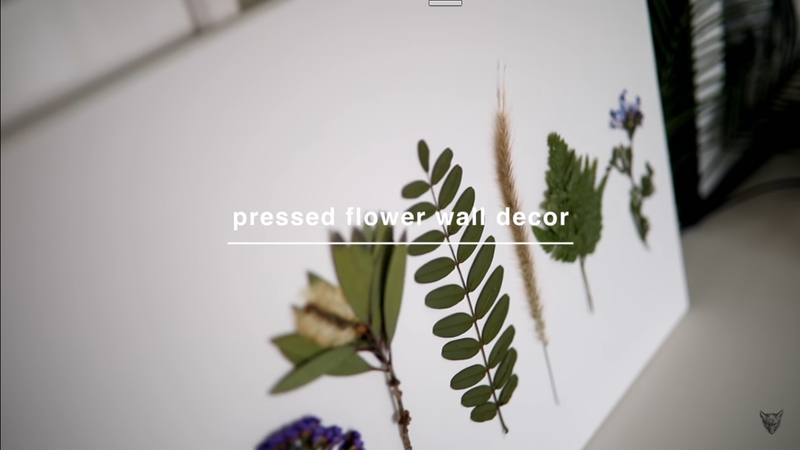 Meanwhile, they use flower extract instead of artificial or chemical fragrance. As of price and functionality, it is definitely recommended. Out of the 7 skin improvement promised, softening, hydrating and nourishing are observed. 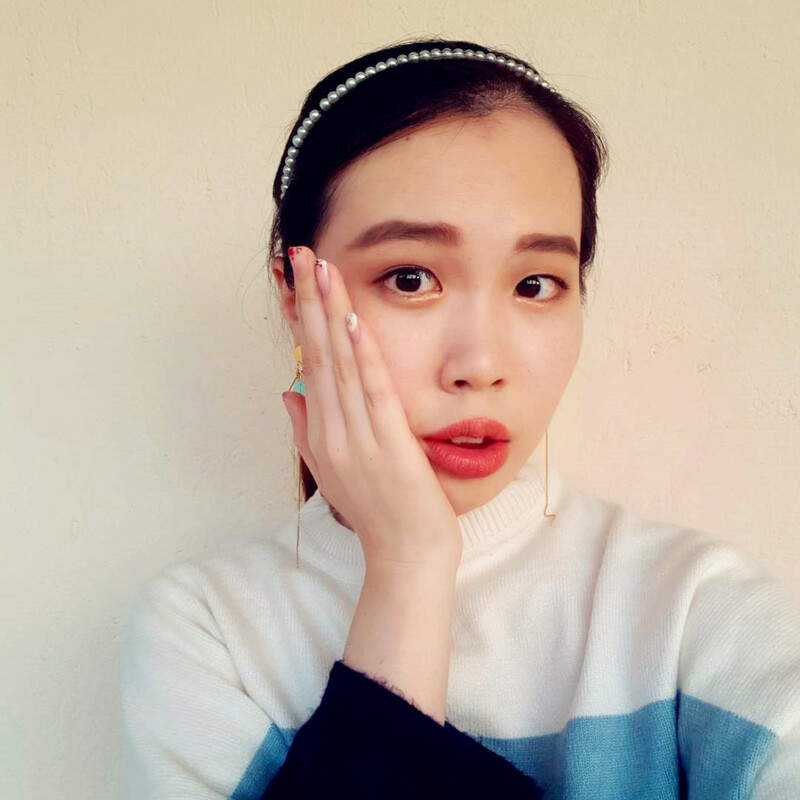 As for the anti-aging related effect, it is rather hard to make comment (cause it isn't obvious and it might take time). 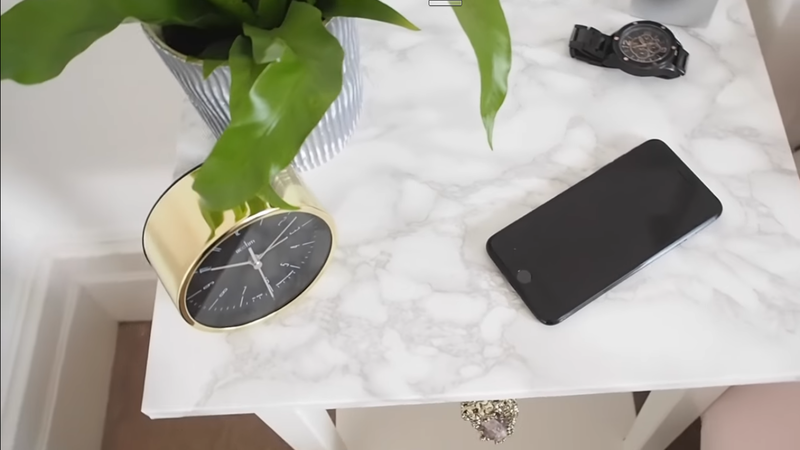 If I must say of one drawback from repurchasing, it would because there are other similar products with higher functionality out in the market which can easily out-beat this product right here. 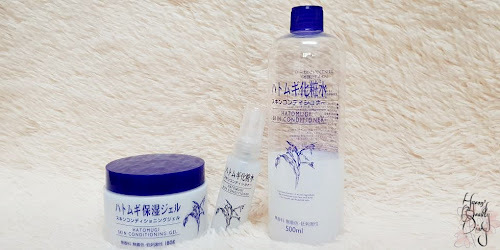 Repurchase: Maybe, if couldn't find an alternative. 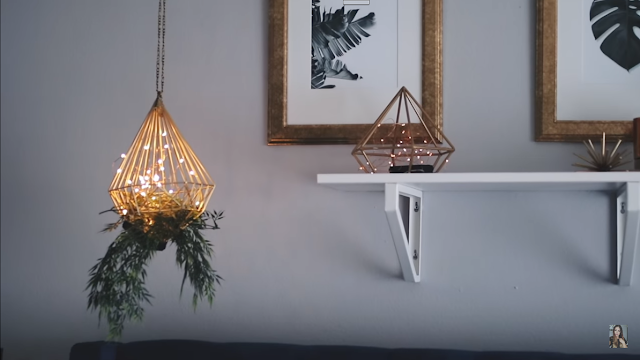 I was watching one video after another about ideas for room decoration, which are awesome! Not realizing my life is "kinda" getting duller and duller, and these videos really gave me that creative boost I'm craving for. Not like I'm going to hands on now, but definitely I will try to take some time and picture how I wish my room to look like. There are just too overwhelming for tonight... Geez wonder where to start. If you are interested in room decoration as well, I will paste the links down and maybe you can get some ideas as well. :) Let's get inspired! After a long busy day, you just want to quickly do you night skincare routine and lie on the bed, not wanting to leave anymore. I know how it feels. In that case, sleeping pack can do the job! Bamboo is known for calming and soothing effect. For my case, often I choose to apply it when I am having acne or trouble skin. 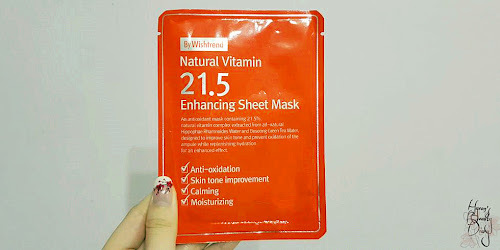 It is a transparent gel-type formula (as below). It is mild and gentle on the skin, doesn't cause irritation. Apply a layer on your face as the last step of your night skincare routine, to lock all the goodness of the skincare products you apply underneath. For my case, this sleeping pack quickly absorbed and formed a thin sticky bouncy layer on top of the skin. TBH I don't really like the sticky feeling :/ But on the next morning, there is no trace of stickiness and the skin is smooth and chill. Wash your face with water and you can proceed with your morning skincare routine. Personally, I think it is an average product. The moisturizing power is just so-so. If I must say, it is quite pricy for a 30ml small packaging like that. It is more like a travel-size. Feels like I can finished the product in one week continuously! I am so excited to share with you this week as it is a total mind-blowing item! At this point of them, I'm sure you have heard of Banila Co. before. 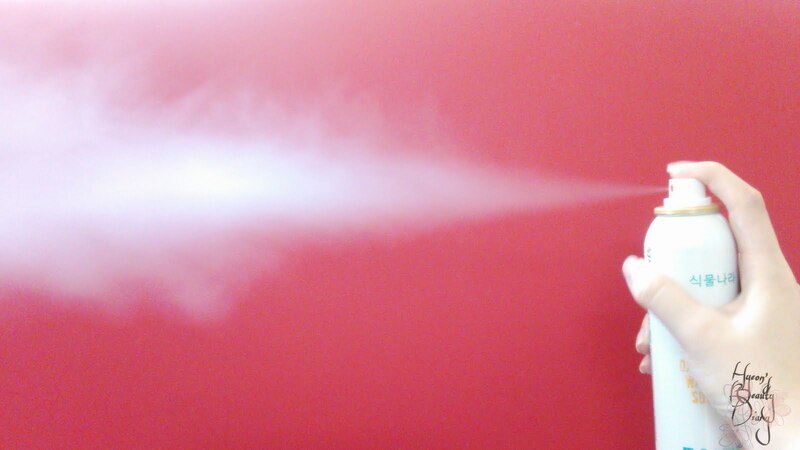 Yes, it is greatly popular for it's Clean It Zero cleanser product line. 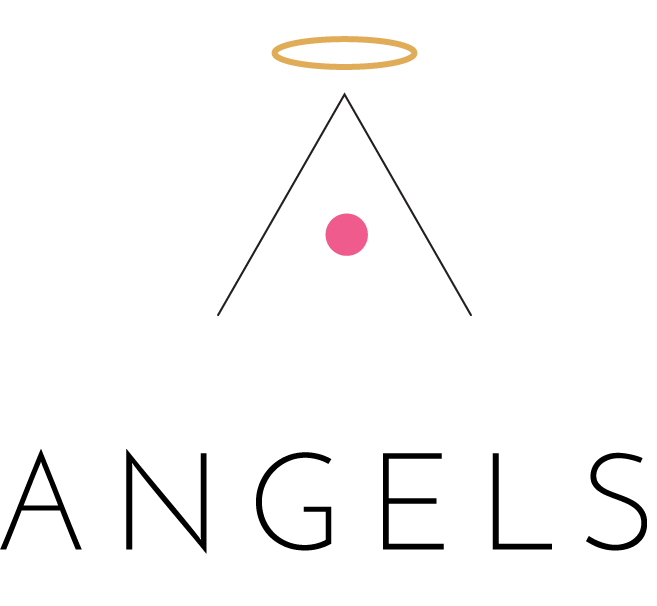 Besides that, the brand is also highly recognizable for their famous brand ambassadors - Taeyeon from SNSD and Song Jihyo. And nope, we aren't gonna discuss about any of the abovementioned, but it is Banila Co.'s it fresh lip & eye remover. 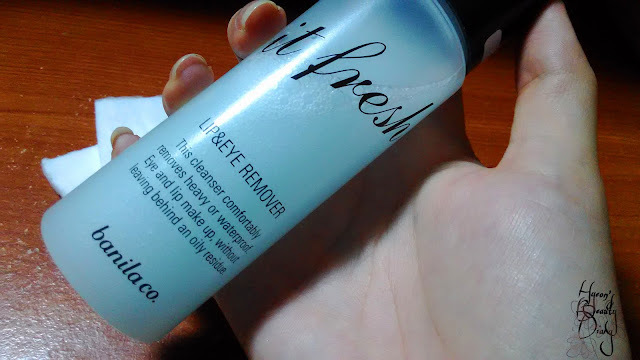 Anyway, what's so special about this lip & eye remover?? By its packaging, you might think that way just like I did before. But uh uh, don't underestimate this product here. 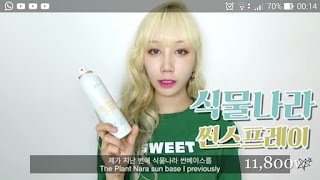 The reason why I am here sharing this review with you is because someone recommended this beforehand - one of my favourite YouTuber, SSINNIM. 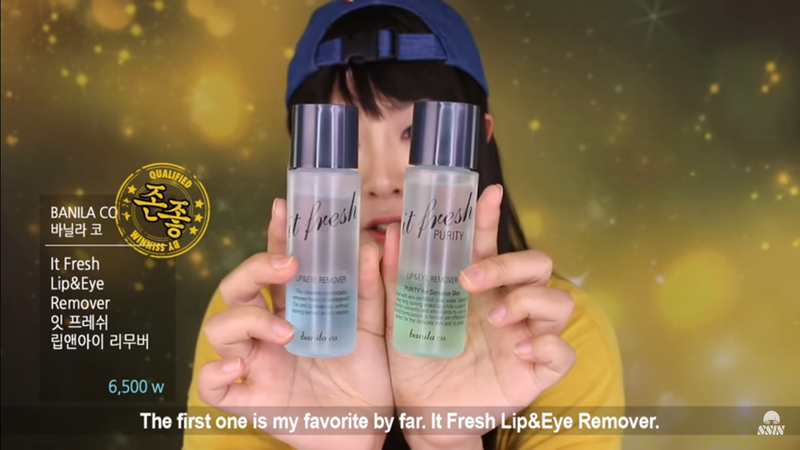 She highly recommended this remover among all other makeup products on her One-Brand Makeup tutorial. And I was thinking "is it as good as what she said?" So then I decided to give it a try ...... and no kidding, I fall for it right on the spot. 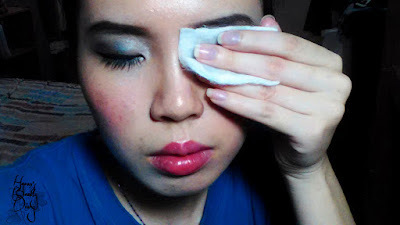 Give it a good shake before using the lip & eye remover, so that the oil and water components could mixed well together. The cap is tightly close whereby you have to push it down and turn to open. Very similar to some nail polish removers out there. You hardly observe any scent from the product. 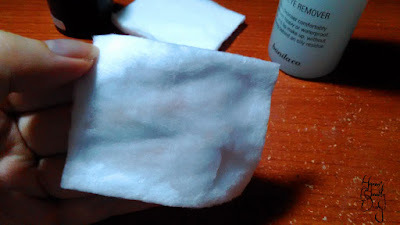 After dabbing an adequate amount of the remover on a cotton pad, what I usually do is, to tear the cotton pad into two thin layers, where I can use it to remove my eye makeup in pairs (as below). The product is super gentle on the skin which doesn't cause any irritation (for my case). 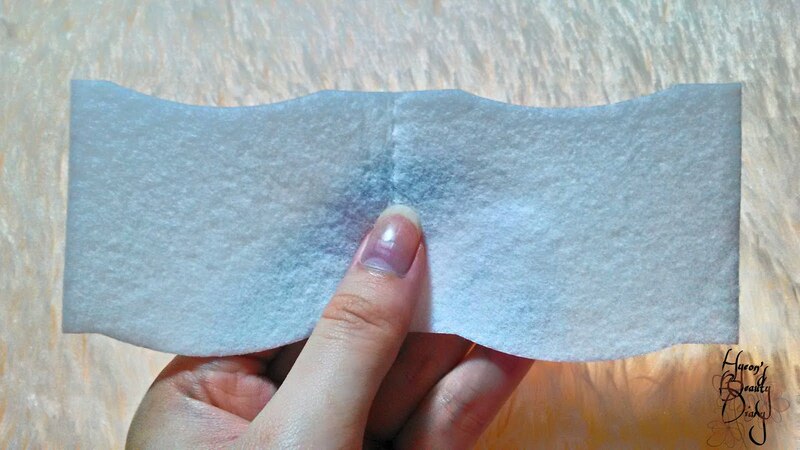 After lightly pressing the cotton pads on my eyelids for about 5 seconds, gently swipe the cotton pads in an upward-and-downward motion to remove the eye makeup completely. 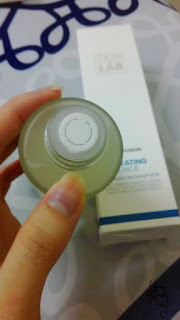 What amazed me the most is, this Banila Co. product can remove your entire eye makeup at once! Yes, trust me, it is enough to use just one cotton pad to remove all your heavy eye makeup (see below). 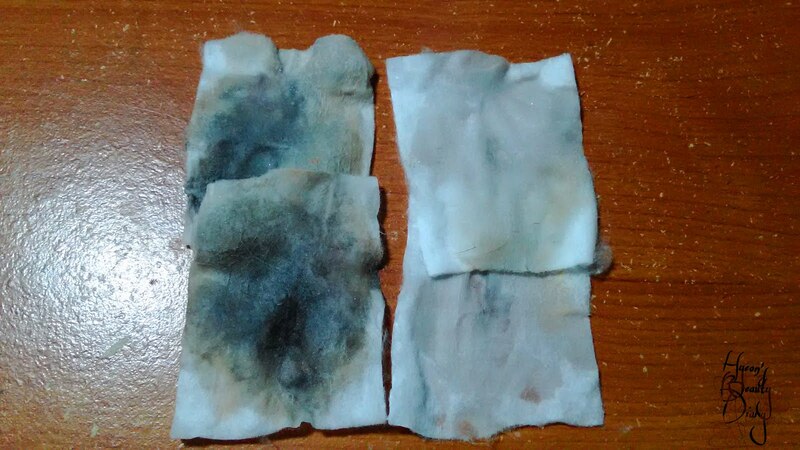 There is no eye makeup residue left on the second cotton pad. I got my first lip & eye remover from The Face Shop; it was the Rice Water Bright Lip & Eye Remover. Unfortunately, I didn't like the product and it often irritates my eyes, so eventually I quickly finished up the product in order to move on from it. But it is a whole different story after I tried Banila Co.'s product here. Not only it is gentle and not oily on the skin, but also it does the removing job marvelously and effortlessly.